My family and friends parked our car in a field the first night of the Both and More Conference in St. Louis this past weekend. The event garnered its name because it was described as crazy, Jesus or both and more. This weekend lived up to the moniker. The Both and More conference was put together by Freedom Rising Ministries and consisted of four meetings in four different sections of St. Louis. With all the compass points of the region covered, God could touch people from all over St. Louis (and beyond) and send them back out into the city that they love and live in. Those revived and refreshed hearts could then move to serve and love others in search of similar same things. The Faith and Deliverance center in East St. Louis was the location for the first meeting. A surprising jewel in the center of a crime ridden area, the building was of new construction and clear of any debt. The blue chairs that lined the sanctuary began to fill with a mixture of well-traveled Iris alumni and familiar faces of those serving Jesus in the St. Louis area. The event would love to serve as a place for the lost to find Jesus, however, this gathering consisted mostly of people who already knew the Lord. This occurrence seems to be a common thread among revival events, seminars and conferences in the St. Louis area. They act as filling stations for the saved, but have little to no presence of the lost who need to be filled (whether they believe it or not) with the love of Christ even more than the saved. I am hopeful for the evangelistic effort of this city – which is a sentiment shared by Bishop Phil Brownlee of Peace Tabernacle and whose worship also team sang a song I can’t get out of my head. He challenged the saved members of the crowd attending the second meeting to go tell five strangers that Jesus loves them. You would think that would be a simple enough task for people on fire for Jesus, however, he also added that half of the people you talk to should be of a race that is not your own. I wonder how many of the hundred plus people in the crowd that day have completed the challenge thus far? Jonathan Tremaine Thomas from Destiny Church and Civil Righteousness spoke Saturday night about laying down your comfortability while in the body of Christ (You can watch the full service here). Thomas reminded us that our demeanor and actions can vary depending on the company we keep. JT recalled one story – which also highlighted the former attitude of his heart, when he shared that he would approach a first encounter with a white person differently than he would’ve approached a black person at that same event. He closed that thought by reminding us that once we are saved, our comfortability should be with any member of the body of Christ regardless of color or denomination because God has created all of us to work together. I can’t wait to see believers working together in our city in such a way. I am hopeful that we can stand next to each other on a wall, sit next to a Christian of another denomination at a meeting or tell a person of another color that Jesus loves them. The takeaways of Both and More this weekend is that our comfortable way of Christian thinking and doing needs to change and we need to act together. Another great example of Christians working together is the story of Iris Worship who led off each service this past weekend with songs and prayer. Iris Worship is another example of God bringing compass points together. Emmanuel Lucima, Hayley Fields and Gareth Cunningham lead an outstanding worship team of people from different locations in North America including Canada, Atlanta and Alabama. Iris Worship came together for the first time at last year’s Both and More Conference and in the time since have been tapped as the official worship team for Iris Global. Their own testimony of togetherness was on display at every service. Their voices flowed gracefully between one another in addition to their seemingly instinctual ability to allow one band member to take the reins of a song midstream to increase the power of the moment. Musicians aren’t always known for their grand ability to share the spotlight. These members of the body of Christ, however, are doing just that and I expect great things in their future. I believe their heart and desire for more of God and their ability to say yes will allow God to give them songs that will change lives. I also believe those songs will be a soundtrack for believer’s lives for decades to come. I am thankful for people like Kurt, Brooke and everyone else who gave a part of themselves to make this event possible because it encourages and inspires others Christians to think and do differently for themselves. And when we have a city of people willing to do both of those things, we will have a lot more to look forward to than we could ever ask or think. John Simmons is the President of Testimony House Ministries. He writes a daily blog for Testimony House each week day. 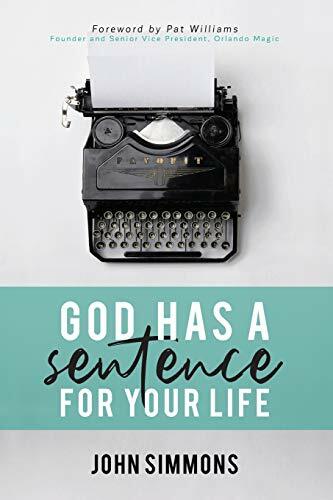 He is the author of God Has a Sentence for Your Life and Finding Faith. Follow John on social media @newjohnsimmons. You can also watch John hosts various live streaming programs on the Testimony House Network each week.